Don't just take our word for it, see for yourself! Our comfort advisers will match the perfect system to your home! You can upgrade your HVAC system without breaking your budget! We can help you make your home healthier with improved indoor air quality! When it comes to heating system repairs, installations, and maintenance, you need a trusted professional on the job. Our qualified team of technicians will work with you to find the perfect solution to your heating needs or problems. The number one goal of Meeks Heating & Air is to keep you and your family safe and warm throughout the entire cold season. Visit any of the pages below to learn more about all the heating services we have to offer! At Meeks Heating & Air, we are dedicated to providing expert, high quality air conditioning repairs, service, and installations throughout Metro Atlanta and the surrounding areas of Clayton, Coweta, Dekalb, Fayette, Henry, Lamar, Monroe, Pike, Rockdale, Spalding, & Butts Counties. Summers in Georgia can sometimes be unbearably warm, so we want to ensure you have a nice, cool home to return to after a long day out in the sun. Our professional technicians will give you the care and attention you need to enjoy every season. Learn more by visiting the pages below or contact us today! The quality of your indoor air can affect your health, energy savings, and overall comfort. At Meeks Heating & Air, we make sure you are living comfortably all year round. We provide expert air quality solutions such as air cleaners, humidifiers, dehumidifiers, UV lamps, and ventilators. Click the page below to learn more about all these options and get the air quality you deserve today! Meeks Heating & Air has your best interests in mind when it comes to heating, cooling, and air quality solutions. To make it more convenient for you, we offer financing options from Wells Fargo with approved credit. Now you can enjoy monthly payment options, free estimates on new installations, second opinions, promotional offers, online bill payment options, and more! Visit our financing page for more details or fill out an application today! Since we pride ourselves on superior customer service, our trustworthy, qualified team of technicians provides free estimates on new installations and second opinions. We won’t try to sell you something you don’t need and will help you through the process from start to finish. Get in touch with us today to take advantage of this special offer! 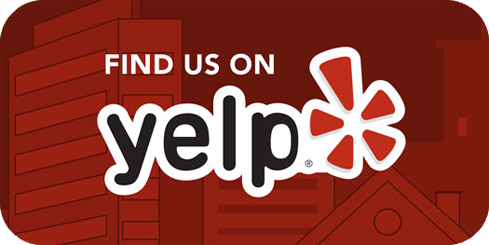 "Meeks heating and air is an honest, trustworthy company that I would highly recommend for any heating and air needs. After receiving four quotes for a new system, Meeks was the only company that told me what I truly needed and did not try to upsell me on unneeded services. They were thousands less than the competition, did everything they said they would do, and did not ask for payment until the job was done. My system works great, and I would not work with anyone else." Continually family owned and operated since 1999, Meeks Heating & Air has earned a solid reputation as a service provider people can trust. By holding ourselves to exceptionally high standards, we not only meet customer’s expectations, but exceed them. Our formula for success is simple and straightforward. It’s all about quality. Quality people, products, workmanship, and service. We hire the very best technicians, to bring together a team of extensively trained and licensed professionals who share our commitment to excellence. We rely on state-of-the-art equipment and components from leading manufacturers. 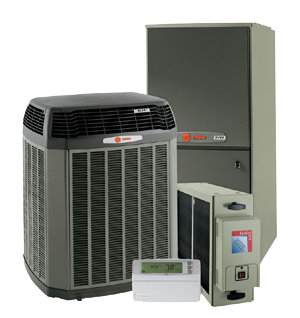 As a Trane Comfort Specialist, we provide our customers with high-quality Trane products and services. When partnered with our meticulous attention to detail, fair pricing and unmatched customer dedication ensure a rewarding and satisfying experience. Exceptional service for all your heating, cooling, and air quality services! Meeks Heating & Air protects your complete home comfort. We provide a broad range of services, including heating, cooling, and air quality installation, upgrades, maintenance, and repair, to achieve a healthy, safe, and welcoming environment for you and your family. Energy savings, reliability, and system longevity are greatly improved, reducing overall cost of ownership, through precision workmanship, proper procedure, and regular inspection. We deliver solutions. No matter what challenge you may face, Meeks Heating & Air answers with prompt, affordable, and personalized service. For repairs, installations, maintenance, and air quality solutions you can depend on, contact Meeks Heating & Air! We maintain a complaint-free, A+ rating from the Better Business Bureau by taking very good care of our customers. Our family name is displayed on our service trucks because we are proud of our service history and unwavering in our commitment to excellence. Count on Meeks Heating & Air for personalized service in Metro Atlanta and the surrounding areas of Clayton, Coweta, Dekalb, Fayette, Henry, Lamar, Monroe, Pike, Rockdale, Spalding, and Butts Counties, and also including Newnan, Stockbridge, Riverdale, Griffin, McDonough & Fayetteville, as well as Barnesville, Senoia, Sharpsburg and Atlanta. We also service the communities of Heron Bay Golf and Country Club and Sun City Peachtree. There’s no substitute for a company that cares about you, and there’s no better protection for your comfort than Meeks Heating & Air. We’re going to make sure you’re happy. Meeks Heating & Air … A Good Name In The Service Business.